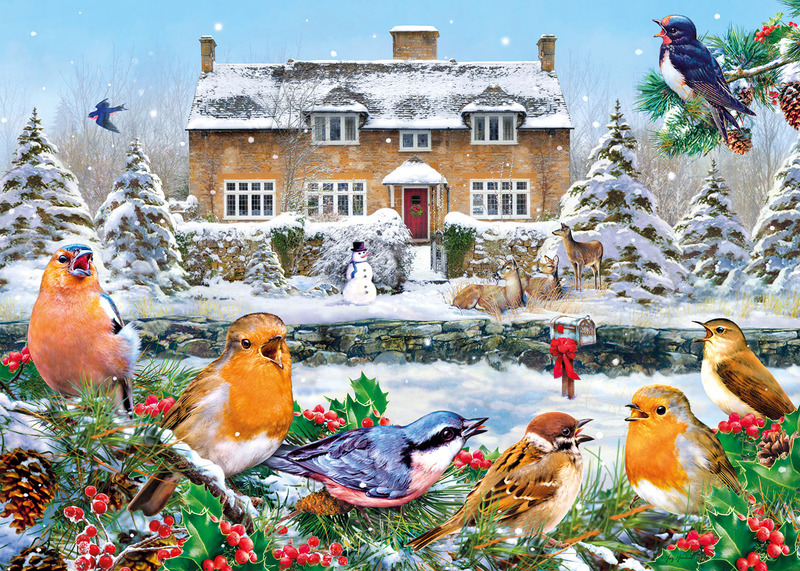 As a robin watches over the snow-covered village on a winter's evening, Christmas cheer is all around. From children building a snowman under the star filled sky, to carol singers travelling from door to door, even the ducks in the stream are Christmas Quackers! Our 636 panoramic jigsaw puzzles are the same width as our 1000 piece puzzles but have a reduced height – the perfect size for piecing together on a coffee table! 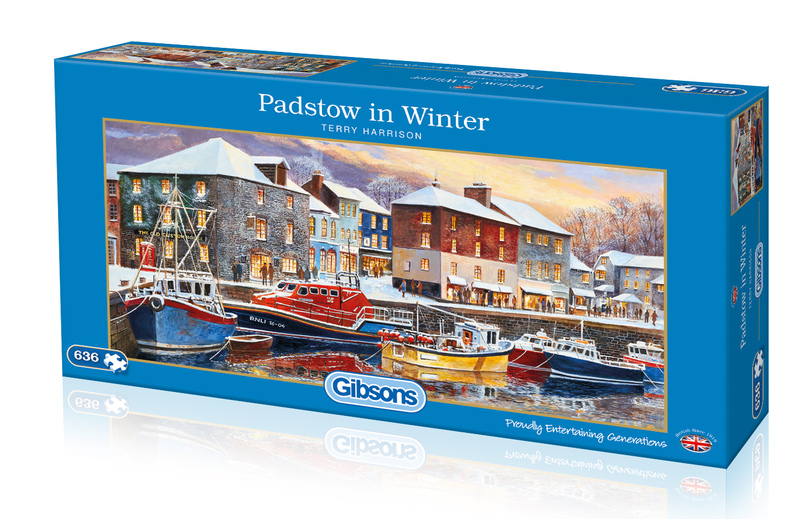 As with all Gibsons jigsaws, the beautifully illustrated pieces are made from the highest quality 100% recycled board and are therefore a pleasure to work with again and again. High quality 636 piece jigsaw puzzle. Puzzle size 32x68cm when complete. Sarah Adams is a landscape painter based in Cornwell who has always been fascinated by the natural world. After studying Graphic Design and illustration at Medway College in Kent, she completed a wildlife Illustration course at the Dyfed college of Art in Carmarthen, Wales. She has illustrated numerous wildlife and plants for publishers, packaging and the advertising industry and has worked for many clients including The Oxford University Press and Which magazine. Sarah has also painted images for greeting cards and calendars, along with collectors’ plates and giftware, allowing her more freedom in design and subject matter. In January 2004 Sarah was awarded a Gold Medal from the Royal Horticultural Society for a series of eight botanical paintings of rhododendrons. She lives in a wooded valley in West Wales with her husband, Steve. They are both keen gardeners and try to manage their garden to attract as much wildlife as possible.